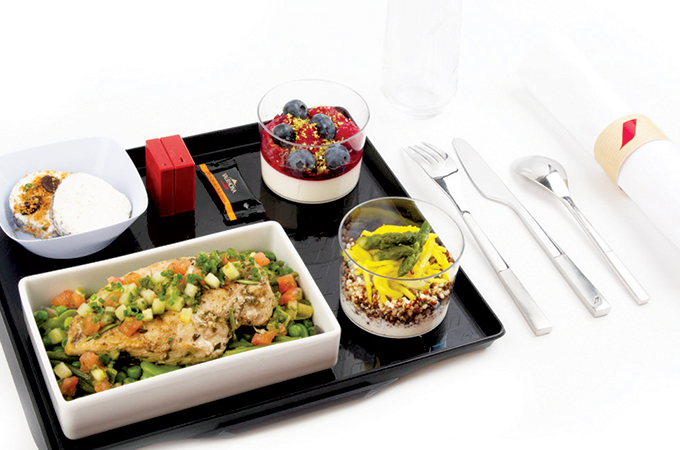 PASSENGERS can now enjoy a new healthy menu on board Air France flights. It is available on departure from Paris on board long-haul flights for Premium Economy and Economy class customers. This menu can be enjoyed on board from April 1, 2019. The healthy menu is available for purchase from 90 days up to 24 hours before the flight’s departure. This new gourmet offer is available for €21 ($24.01) incl. VAT or 7,000 Flying Blue Miles as an alternative to the menu offered on board. MUSCAT International Airport is taking part in the 2019 Skytrax World’s Best Airport Survey competing against the best for the coveted award. The new state-of-the-art airport has received global acclaim for its Omani-themed architecture, advanced technology, exceptional passenger experience and operational excellence. It is built over a gross floor area of approximately 580,000 sqm with the capacity to serve 20 million passengers per year. This airport has augmented the growth of travel and tourism in Oman. Often referred to as ‘the Oscars of the aviation industry’, the Skytrax awards are a global benchmark of airport excellence where 12.85 million travellers representing 110 nationalities from around the world take part to decide the winners from a pool of 410 airports worldwide. The survey evaluates customer satisfaction across 39 key performance indicators for airport services and products from check-in, arrivals, transfers, shopping, security and immigration, through to departure at the gate. THE International Air Transport Association (IATA) successfully completed the first “IATA Pay” ticket purchase transaction in a live test environment. The transaction was conducted in partnership with ipagoo, a UK-based fintech company. TURKISH AIRLINES, and India’s largest domestic carrier, IndiGo announced a codeshare and mutual cooperation agreement. This agreement between the two carriers, will enable both carriers to provide more flexibility of choice to their respective customers to fly on sectors between India, Istanbul and beyond. This is the first codeshare agreement for IndiGo as part of its international expansion strategy. Through this cooperation, Turkish Airlines will be offering new destinations in India as marketing carrier on IndiGo operated flights, while IndiGo customers will be able to reach many European destinations through Turkish Airlines’ extensive network. IndiGo will place its code “6E”on 20 points beyond Istanbul operated by Turkish Airlines. Similarly, Turkish Airlines will use its code “TK” on IndiGo operated flights within India.